Rock Pond Estates is a 100+ condo development currently under construction in close proximity to downtown Sanford and highway and quick commute to downtown Portland, Maine, to the north or Portsmouth, New Hampshire, to the south. 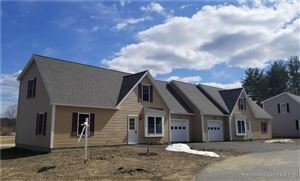 Built just off Jagger Mill Road off Patriot’s Lane, these town house style condos offer 3 bedrooms including first floor bedroom with full bath and 2 additional bedrooms on second floor with large guest bathroom with laundry hook-up. The kitchen is open concept overlooking bright and sunny living room with large bay window. Heat and air conditioning is provided via efficient electric heat pumps and each offers one car attached garage. Some models will include additional unfinished room over the garage which would be ideal 4th bedroom, family room or office/den. Other models available will include unique stand alone condos offering 4+ bedroom and potential for 3rd full bathroom.